The girls have enjoyed a great start to the competitive season, remaining undefeated throughout February and March. 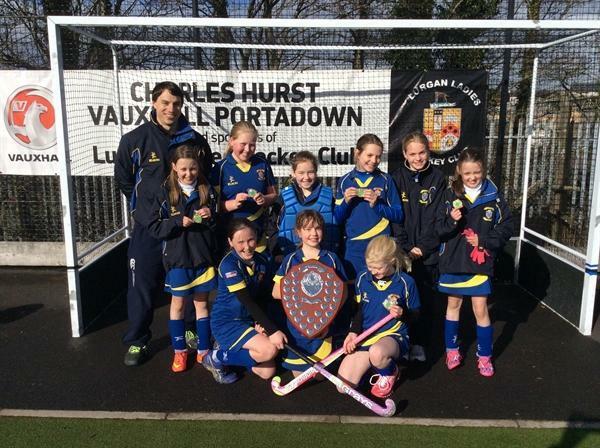 On the 10th of March The Armstrong Primary School competed in the Division 1 tournament at Cookstown High School. The girls defeated Kings Park 3-0 before drawing with Waringstown 1-1 and Maralin 0-0. Unfortunately the two draws meant the group went to goal difference with The Armstrong Primary School being eliminated. Other matches have included a 5-0 victory over Markethill (Friendly), a 0-0 draw with Edenderry Portadown (League) and a 9-0 victory against Hardy Memorial (League). 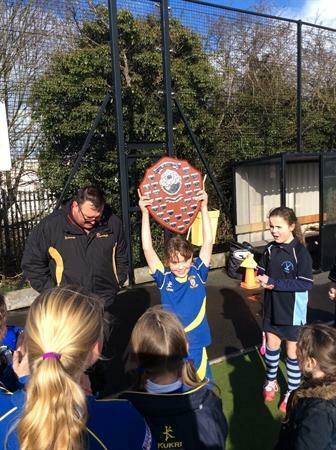 The highlight for the girls to date has been securing the prestigious Mid-Ulster Championship Shield at Lurgan High School on the 24th March. In the initial group stage The Armstrong drew with Bocombra 0-0 in a nervous opener before composing themselves to defeat Donacloney 4-0 and Abercorn 2-0. The girls continued their impressive displays overcoming Seagoe 2-0 in the semi-final before securing the Mid-Ulster Championship Shield with a 1-0 victory against Waringstown in the final. Jodie Simmons impressively scored 8 of The Armstrong’s 9 goals on the day. 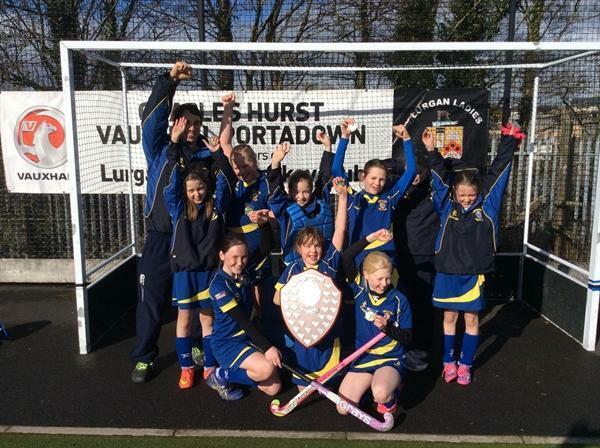 The tournament success not only secured the Mid Ulster Shield but means The Armstrong progress to the Northern Ireland finals later in the year. The girls hope to carry their impressive form into the Northern Ireland finals, the remaining league fixtures and the Armagh School’s tournament in April.